Product is manually horizontally loaded into a carton by an operator. 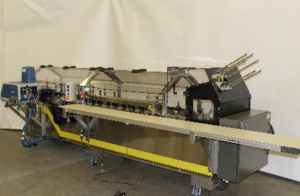 Product can be transported to loading area via a product feeding belt conveyor. *The Econo 60 can be quoted to handle cartons outside of range listed above upon request.